I love seeing Art Toolkits and Pocket Palettes in use around the world. 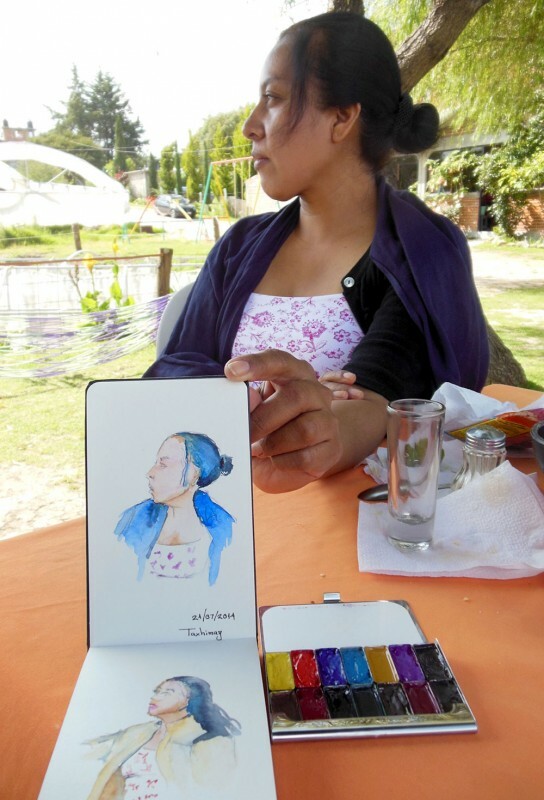 Victor from Mexico City gave me a glimpse of his sketchbook from a trip this summer to Taxhimay, Mexico. 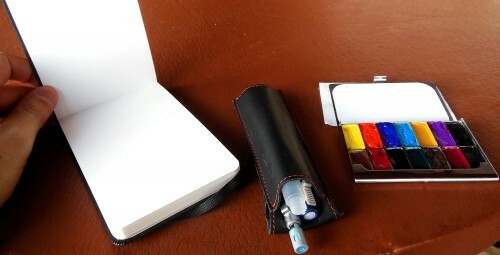 He’s got a compact sketch kit with his Pocket Palette, Moleskine watercolor book, and a lovely leather pouch. Thanks for sharing, Victor! I really like Victor’s style of sketching. And, I am quite impressed at how very compact he has made his art kit. I don’t think it’s possible to pare it down any further! Thank you, Victor!